When Syria's Civil War started, their government of Bashar Hafez al-Assad made it illegal for their doctors to give medical care to anyone suspected of supporting the opposition. Many of their doctors have been targeted for death and have been attacked. Reports estimate that more than 15,000 Syrian doctors, which is half of their profession there, have fled Syria. 60% of their hospitals have been destroyed. In Aleppo, which used to be the major Jewish city, there used to be 1,171 doctors in their government hospitals, part of a very good medical care system that was cheap for the citizens. Today these same doctors are in rebel hands with only 292 left. Jews left in 1992-94, helped by Judith Feld Carr. Jews were not a part of the population at large but were confined in a Jewish quarter. They probably weren't allowed into the medical profession of Aleppo. In eastern Ghota outside of Damascus, 30 doctors of 1,000 are left. All other medical personnel have fled. Their medical facilities have been targeted for attacks by both the government and the rebels. Word was out that Israel was giving medical care to Syrians, and hundreds of injured have gotten to their border for treatment, and are never turned away. The war has been going on for 3 years and Israel not only has been providing medical aid but go into refugee camps in Jordan where 600,000 Syrians are held which has put a great strain on Jordan, who haven't recouped from their previous Iraqi refugees, and give aid. Combatants and civilians streamed over in IDF ambulances to get to the Western Galilee Hospital and Ziv Medical Center in Safed and even further to Haifa for help at Rambam Hospital, which is the army hospital there. They also have taken in the injured near Tiberias at the smaller Poriya Hospital. Israel opened a new neuro-surgical department, the only one in northern Israel a year ago. A few months after opening, they saw that 20% of their patients were Syrians. 250 were war wounded with horrendous trauma like head injuries showing attempted execution-type shootings and attempted machete beheadings. One patient had his whole lower jaw missing and couldn't talk of course and couldn't write to communicate because he was illiterate. His jaw took 17 hours of surgery with medical experts from all over Israel to rebuild his jaw from a part of his leg bone. They have also treated women and children, civilians injured in the war. Doctors have found that snipers deliberately shoot children in the spine. The Syrians are Israel's enemies. They have been told that Jews are the devil, Satan. They are taught to hate them, but they must have been desperate and realized it was their own people who had harmed them, so how much more could the Israeli's show harm to them? When they opened their eyes after surgery, they looked like they were in shock, but it only took a few days before they felt comfortable and were at ease. Israel makes sure that there is an Arabic speaker available for them at all times. It was the chief military medical officer of the IDF Northern Command that requested the Israeli doctors to treat Syrians at this particular hospital, but the head man, Dr. Masad Barhoum, a Christian Arab, said it was natural for him to accept the request. "We have to do this," he told the reporters. "It is our professional privilege and it is our moral obligation. They've had to see 120,000 die in Syria already and know that people are homeless being their homes have been bombed and crushed that are now suffering from disease and injuries without being able to get treatment. "What we are doing is a drop in the ocean. I thank G-d I have the opportunity to treat these injured." All Israelis are reflecting the morality of the Jewish people. 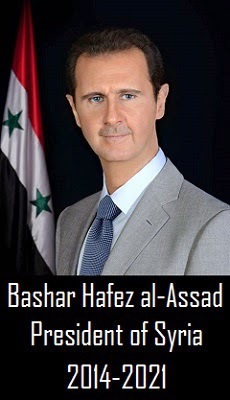 The surprise is that Assad, president of Syria, is also a doctor, an eye doctor. His value system for life is quite different, however. His values center on punishing people who disobey him. He is most vindictive. This was brought out being he is an Alawite, a branch of Islam that is not accepted by the Muslim Brotherhood whose headquarters were in Homa. Assad's family are a minority group. This is the way Lebanon also rules, with the Christian minority. When Assad took over on November 16, 1970, the Brotherhood began to plan for his overthrow. The guerilla war started in the late 70's and bombs went off outside of Syrian government building. Soviet advisers and members of Assad's ruling Baath Party were shot in attacks or taken hostage. Assad responded with the same style, abductions and assassinations. He was the main target and on June 26, 1980, the Muslim Brotherhood members threw 2 grenades at him and then opened fire. He survived with a foot injury when he kicked away one of the grenades. So he has no heart for rebels. An election was held last week and of course he won. He'll be reigning until 2021 now. 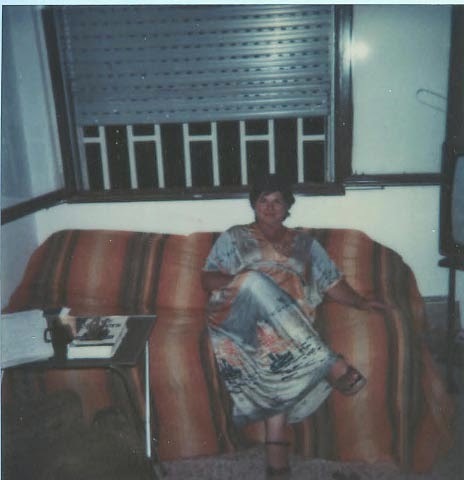 1980-85: My Safed apartment came with bars on the living room windows as we were on ground floor. That was to deter terrorists from entering and attacking. During the 1982 Lebanon-Israel War, I was living in Safed in the northern Galilee and was teaching English right across the street from the Ziv Hospital/Medical Center where I sought treatment a few times. My 9th grade boy students were asked to help out in the hospital with their skills of speaking Arabic and English, languages of the enemy that were also patients there from the war. We could hear the helicopters land on the hospital roof, and the children would hover in corners fearing they were bringing in their fathers or brothers who were called into the IDF during this period. They came back after their shift and told me that they had seen things kids their age should never have to see, in telling about the injuries they witnessed. They learned the hard way what war was all about. Israel's religious learning is that of feeling that life is precious, valuable, and that means all life. The toast is L'Chaim, to Life. Many many Jews seek to become doctors, and indeed there are many among our people. Here they are, threatened by Arabs who had a nuclear facility ready to use against them in Iraq, and even now have missiles pointing at them from Lebanon and Syria with threats to take over the Golan recently coming from Assad, and they are caring for their unwanted, their injured, and making them whole again. All this has to be done quietly so that their patients will not be murdered for having sought treatment when they return to Syria. The estimate is that about 1,000 Syrians have entered Israel for medical treatment. About 450 were treated at the army field hospital. At the same time, Israel has been hit by Katyusha rockets fired into northern Israel from Lebanon by Hezbollah, and they wind up protecting these patients along with everyone else.